I am sending this recipe to Radhika's Deep Fried Snacks Event. Wash and soak Channadal for 4 hours. and grind it in mixie. Try to avoid adding water and make it as coarse paste. Try to grind channadal in 2(or)3 sets. Grind first 2 sets of channadal coarsely and last set finely. It will help the batter to bind together. Add chopped onion,greenchilli, coriander and curry leaves to batter. 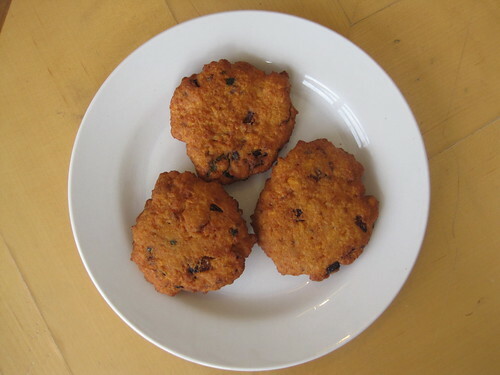 Wet your hands (Palms) before making the vada shape. Now,take the vada batter and press lightly in palm and drip it in hot oil. Deep fry the batter both side and vada is ready. 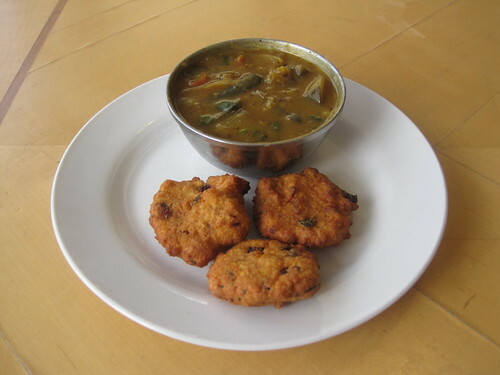 Masala Vada can be served as evening snacks. 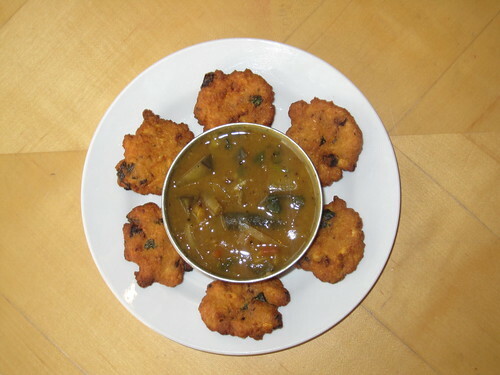 This South Indian Recipe can be served with chutney and Sambhar. First time here..fascinating space you have..
Vada looks crispy n irresistable..nice clicks..